All in all I had a good stay. The dining room/ lounge could be more comfortable and would have loved to see a couch in there. You got all u need, bedrooms are small and okay! Bathrooms and kitchen are the same. Friendly hosts! Das Hostel war gut, aber leider gab es nur eine Toilette für den ganzen Flur und die Matratzen waren sehr unbequem, da die Federn teils schon durchgekommen sind. Auch entspricht es nicht ganz der Beschreibung, es ist eher eine Jugendherberge. Leider hat die Unterkunft den Bildern nicht ganz entsprochen und 1 kleines Badezimmer auf einem Stockwerk mit 1 Toilette für Frauen, bei aber 9 Zimmern ist einfach zu wenig! Ansonsten war der Preis und die Lage gut, für einen kurzen Aufenthalt ok.
Room was super small and the bed wasn’t comfortable at all. Bathroom situation was kind of a nightmare. Two showers and one toilet (most of the time with no paper) for everyone on the floor in a small steamy room. Staff was very nice and helpful though and the location is perfect! Atmosphere was poor but if you’re just staying for a night or two this might be okay. I was in 4 women's dorm. For this dorm was only 2 keys there... Staff was helpful. 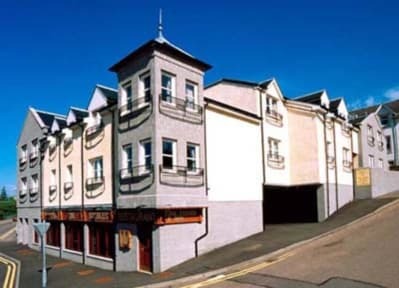 Good things: nice enough staff, clean sheets, nice location, bar/restaurant underneath Would *not recommend* because: Only 1 toilet and 2 showers (all in one room with no changing facilities) for all women on the floor. Bathrooms, rooms and kitchen dirty and mouldy. 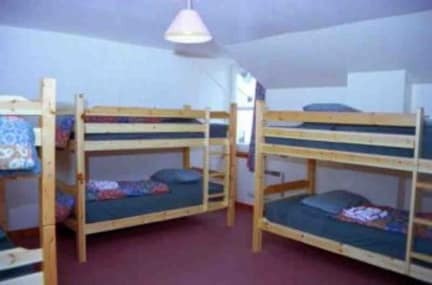 Rooms with 2 bunkbeds in had no space left to actually pass by the beds. Clientele was rather dubious (no backpackers or similar; more like homeless people) Extra charges for every little thing. Got the feeling of mass processing.